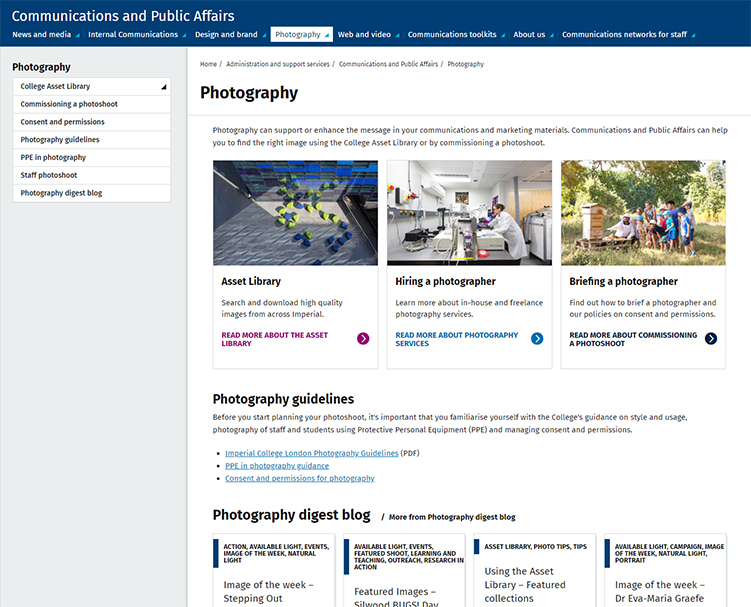 From sourcing an image to creating your own, consent and permissions, guidelines, photography notices, the asset library, and commissioning shoots, it’s all here. Please do have a look around the new toolkit, and feedback on anything that you feel should be there but is currently missing. Visit the new Photography Toolkit here.